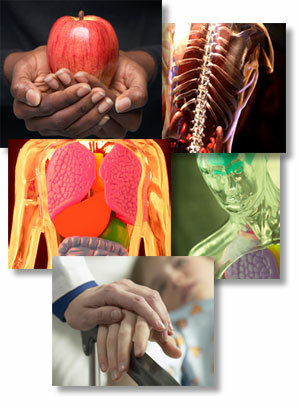 Links to free and licensed resources that contain medical images and multimedia. Click here to find many other health and medicine related subject guides. UBC. See many resources under the Teaching and the Learning Resources tabs. Guide for finding and using images for academic work. Guide with links to clipart, photos, media, and blog information. Explore links to medical images, multimedia resources including: lessons, lectures, quizzes, videos and virtual cases by topics above or by the UBC resources below. With special thanks to the librarians at McGoogan Library of Medicine, University of Nebraska Medical Center for sharing their annotated bibliography, Medical Images on the Web and to Teresa Lee, UBC Librarian for compiling the beginnings of these resources. Please review and respect copyright conditions for individual resources. Some resources included in this guide use Creative Commons Copyright licenses and are indicated with a hyperlinked Creative Commons logo . In some cases, copyright information has also been included in the more information section, please click on the blue beside the links. For copyright and image information, please visit the Copyright at UBC and Image Sources websites. These resources are compiled for supplemental information purposes only and should not be considered as endorsed by the UBC Medical Doctor Undergraduate Program. Access to licensed UBC Library resources should be seamless from on campus; to connect from off campus please click here for more information. Once logged in, click on the Multimedia tab from the menu at the top of the page for access to numerous video and audio resources from a variety of topics. Authentication with a UBC Library card or Campus Wide Login is required for off-campus access. Please see remote access information in the box above. Includes 19 comprehensive modules on the human body with 3D anatomy images, and integrated physiology content with narrated animations, illustrations, dissection slides you can label, clinical case studies, the impact of aging on each body system, pronunciation guide, quizzes and much more! Offers 9 regional anatomy systems including over 6500 interactive 3D models of the human body with MRI correlations and detailed text linked to dissection slides, video clips and animations. Rotate any anatomical view 360° to view the interaction of nerves, muscles, ligaments and bones or add/remove layers of anatomy and label any visible structure. Built-in self-assessment quizzes are also included along with a 3D real-time body and regional study guides. Bates: a visual guide to physical examination, 4th ed. Streaming videos in WMV format. A comprehensive way to teach and refine physical examination skills using the Bates' method. Each lesson is dedicated to a specific body system and includes a step-by-step demonstration of appropriate examination techniques. Please see the Table of Contents for the complete list of medical videos in the collection. The Journal of the American Medical Association, click on the Multimedia tab to view videos and podcasts. Please login via the EZProxy service first, to access JAMA. To search for images and diagrams within journal articles in this collection, connect at the URL above, choose the 'search fields' tab, check the 'caption text' box and enter your keyword. Browse NEJM for videos and images in clinical medicine, interactive medical cases, and weekly NEJM audio summaries. Click on the Articles tab, then on the right side of the menu list, you may view the multimedia types available. Please login via the EZProxy service first, to access NEJM.